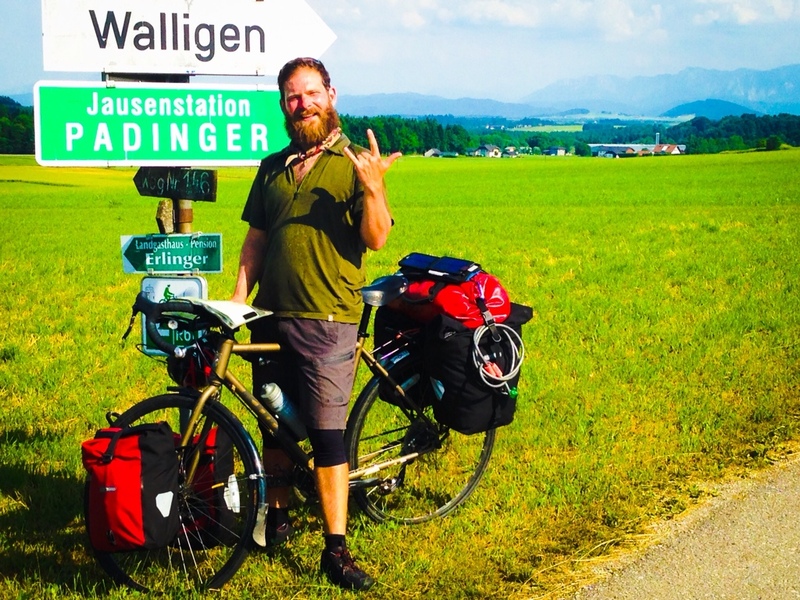 One of the big lessons that bike touring has forced me to face over and over is in learning how to receive. 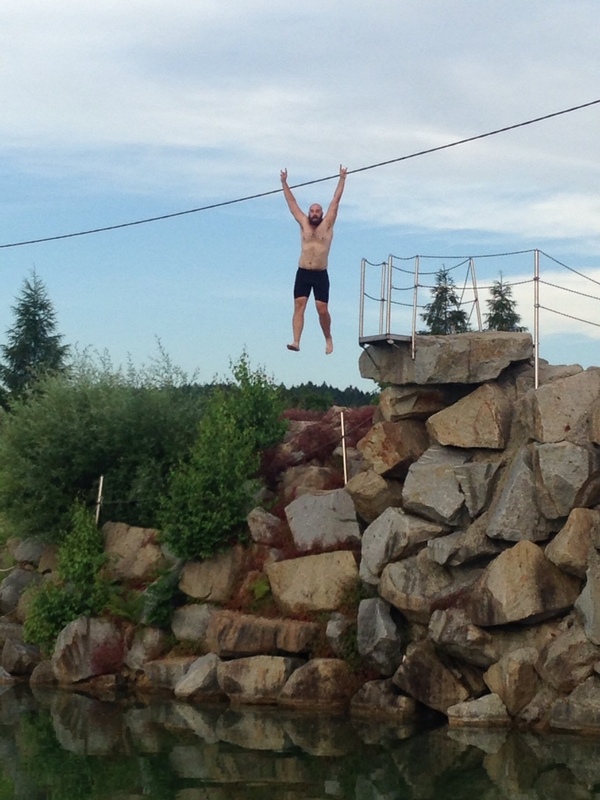 I have to say that my tour partner, Ed, is pretty awesome at this. I am definitely still learning. But even in my novice state, I have reaped some mega-benefits of the generosity bestowed upon the wandering cyclist. 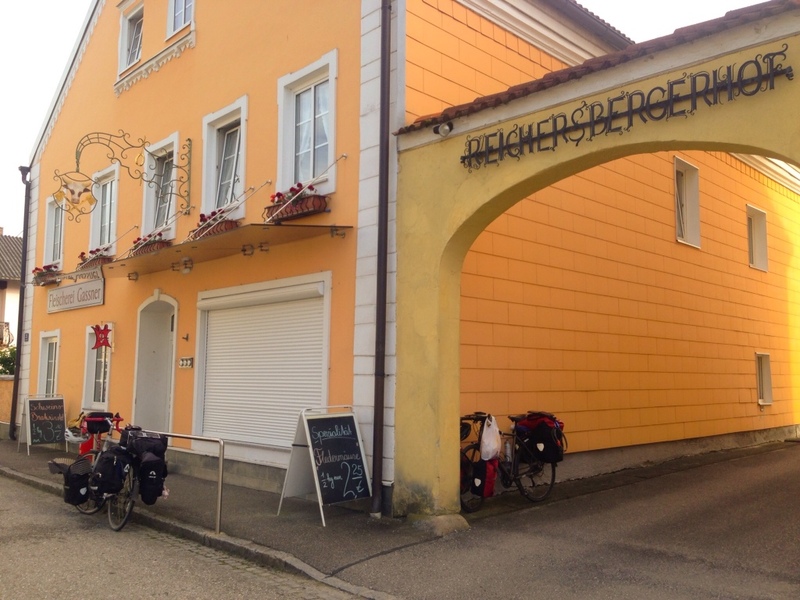 The best example of this was on the the day we left the Danube and rode up the Inn River toward Salzburg. Within a few kilometers of the campsite after a long, hot day of riding, Ed spotted a window filled with all kinds of amazing cured meats. We couldn't resist. While I was slow in finding a spot to set my bike aside, Ed rushed in. By the time I got in there, there were heaps of samples on the counter. As we chowed down, we told our touring stories and suddenly free packages of meat from the butcher and his wife begin piling up before us! 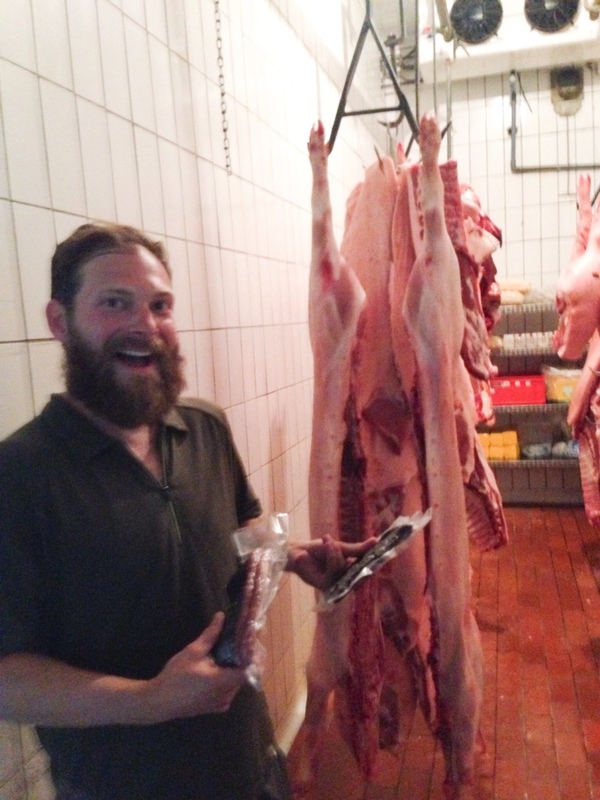 However, before we left we were treated to the butcher's true passion and original training, religious music. 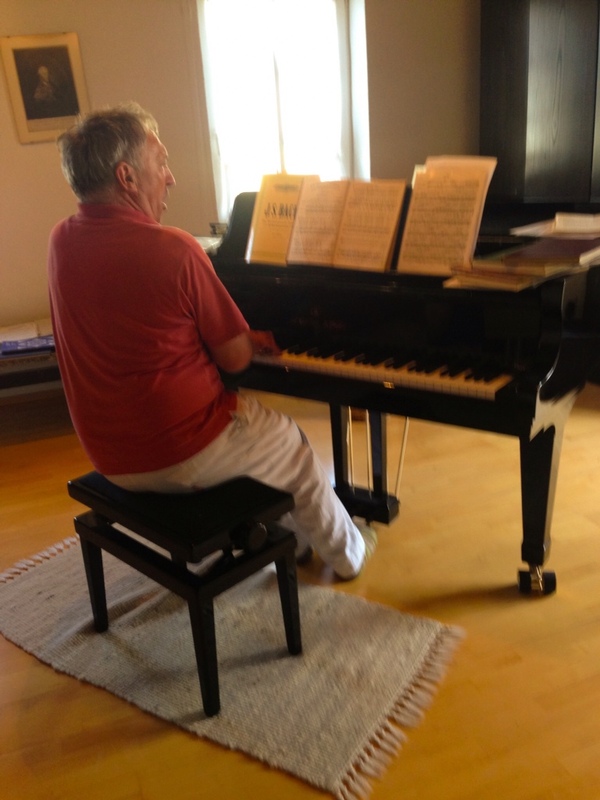 He played piano and sang Schubert in his unbelievable operatic voice. Ed and I just looked at each other dumfounded and couldn't believe our incredible luck. Moments like these can't possibly be planned and they are exactly why I love this type of travel. After a couple grueling climbs we arrived at a beautiful hilltop campsite. From here we had just about a 360 degree view of the rolling hills of Austria filled with vineyards, fruit trees and every quaint countryside image you can probably imagine. And the campsite included three ponds for swimming, we skipped the nudie one this time. Thank you Sebastian for leading us there! Totally worth the climbs. 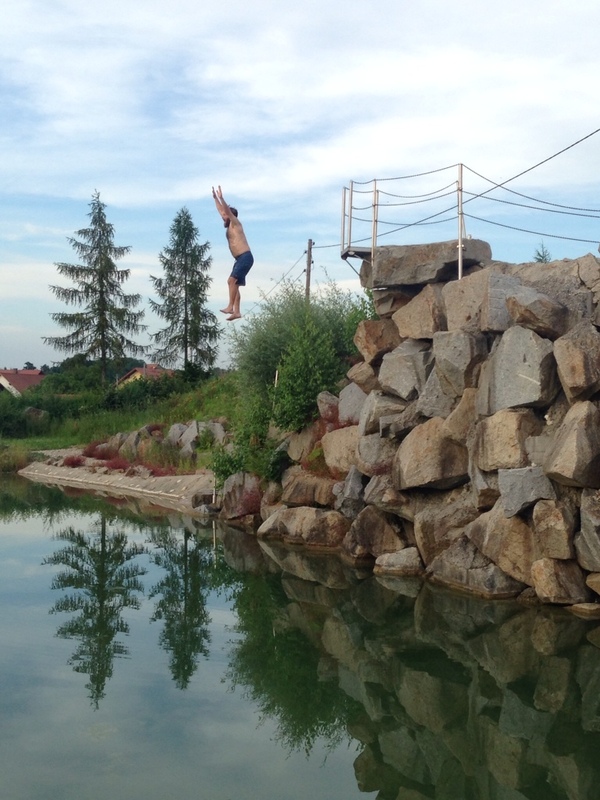 Included a five meter jump! Much higher then you'd think. The magic of this evening continued with Ed's guitar playing attracting a group of Austrians. We had a campfire singalong (minus fire) where I got to take a few turns with the guitar late into the evening. First siting of the Alps! 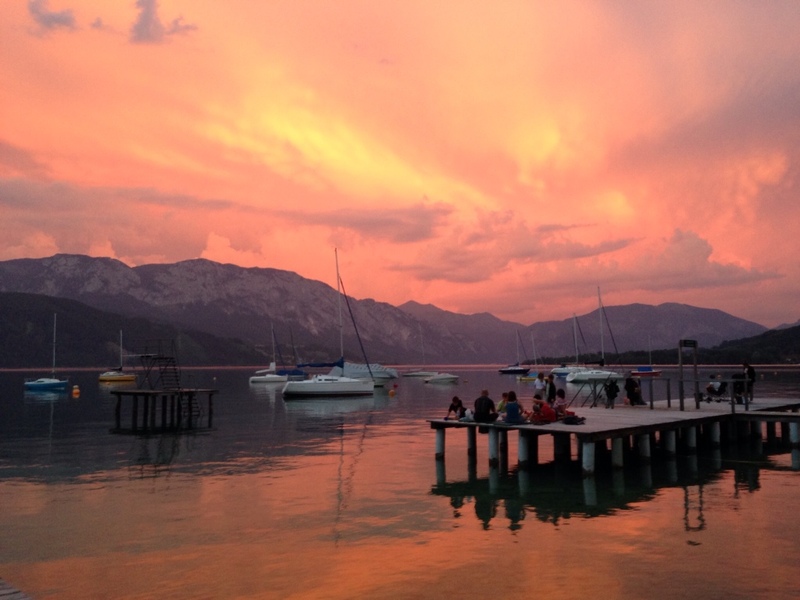 Possibly the most incredible sunset I've ever witnessed from our campsite on Lake Attersee. These clouds were a thunderstorm rolling over the mountains right at sundown. So not only did we get the colors of the sunset reflected by the lake, but there were constant flashes of lightning. The crowd went wild! 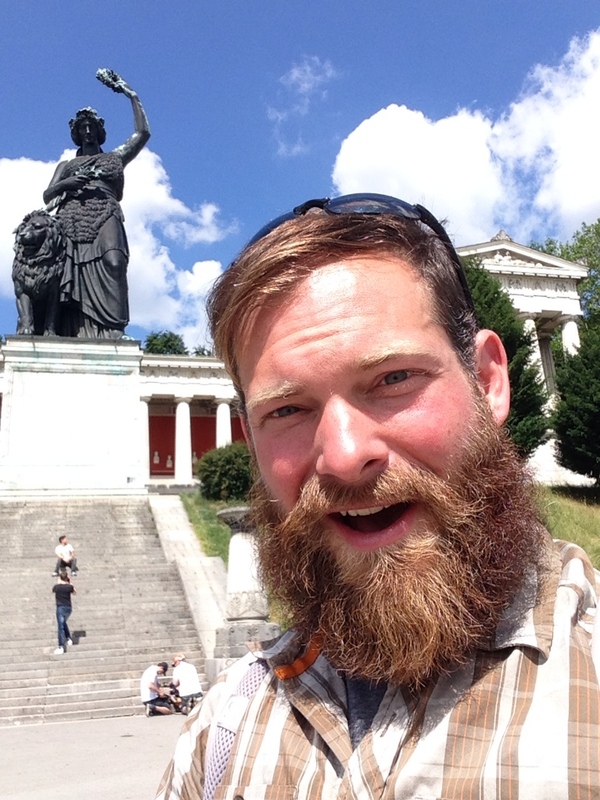 A day's ride east brought us to Salzburg, home of Mozart, the Sound of Music and what many consider to be the best beer garden in the world. 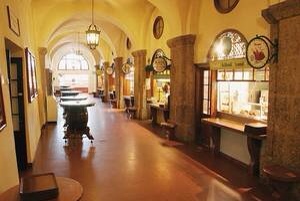 Augustiner Braustubl Tavern has been around since 1621 and is the only beer garden in Austria still serving up beers brewed by monks. 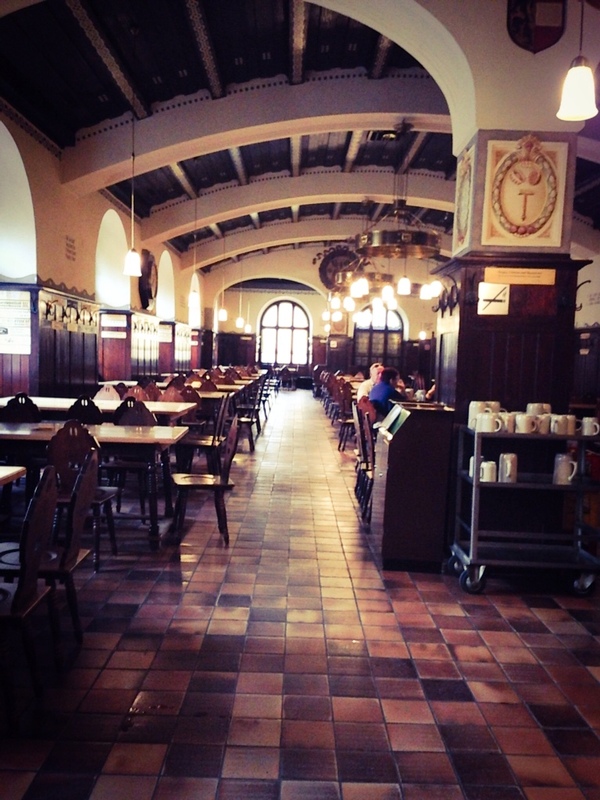 One enters through the 1500 seat courtyard, teaming with regulars guarding their hard won tables and excited tourists. 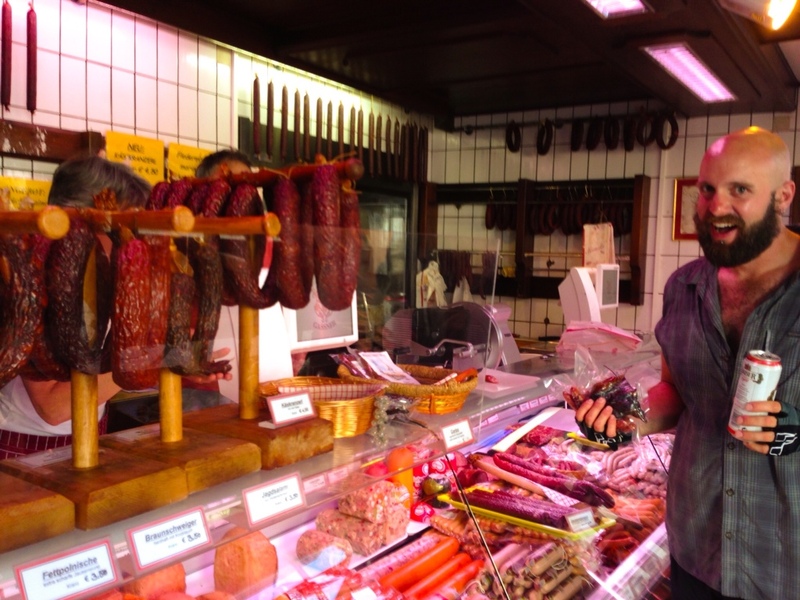 You climb upstairs to the “stands corridor,” a delicatessen arcade, where you pick and choose from family owned stalls, serving up sausages, kraut, fried fish, sides, desserts and pastries. Then you make your way to a wall of ceramic steins, grab the size you want and give it to the guy manning the giant wooden casks of beer, who fills it, then whips to the end of the bar where you'd better be ready to catch it. To say the mood was festive is an understatement. People were downright giddy! 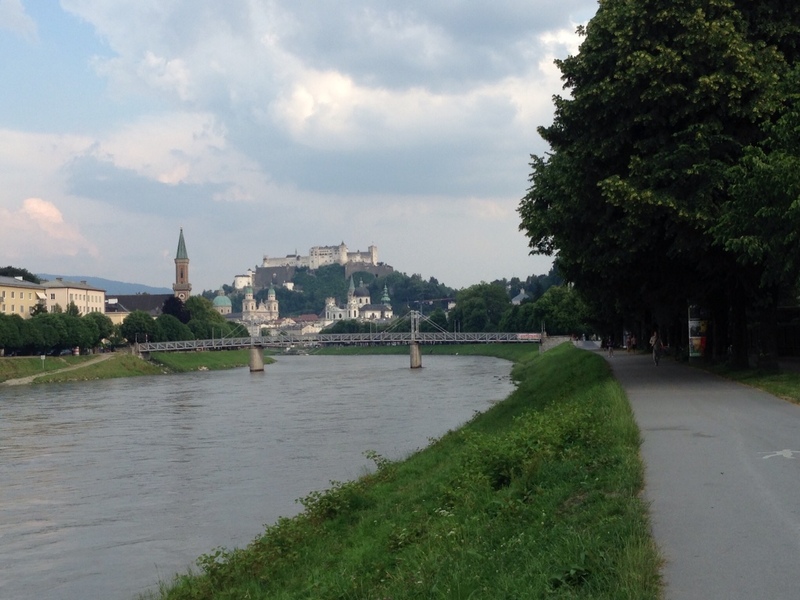 Salzburg runs along the Salzsach river and sits on the edge of the Apls. It's full of gorgeous churches, palaces and is watched over by the Salzburg Fortress seen in this pic. 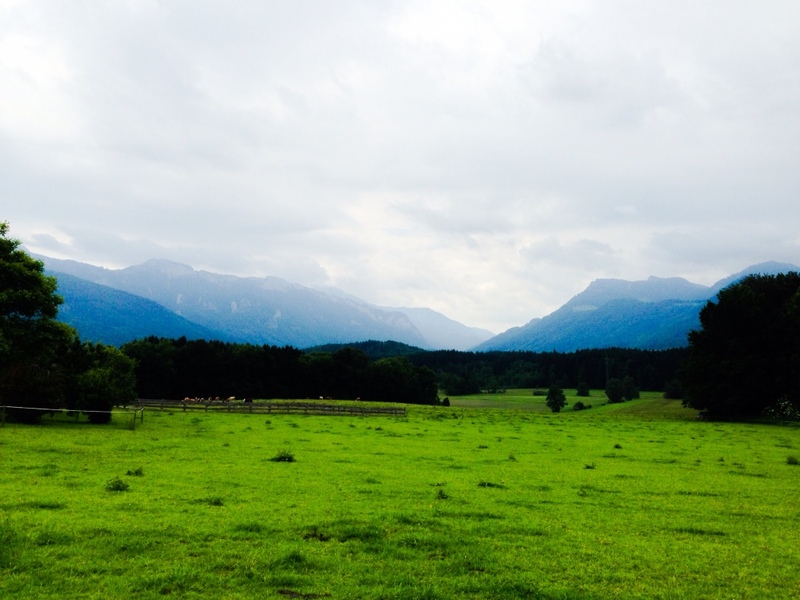 Challenging riding through beautiful country side as I crossed from Austria into Germany. 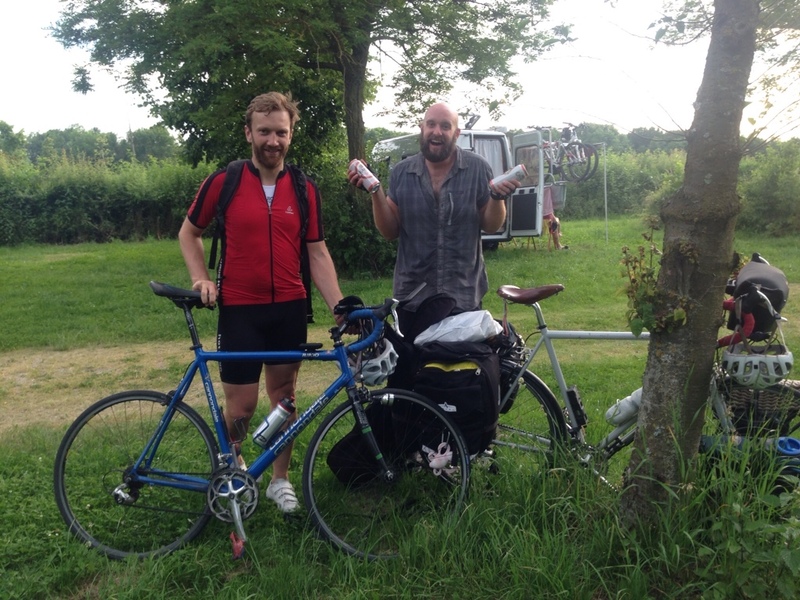 I rode a couple more days west and arrived at a campsite on the south side of Munich. 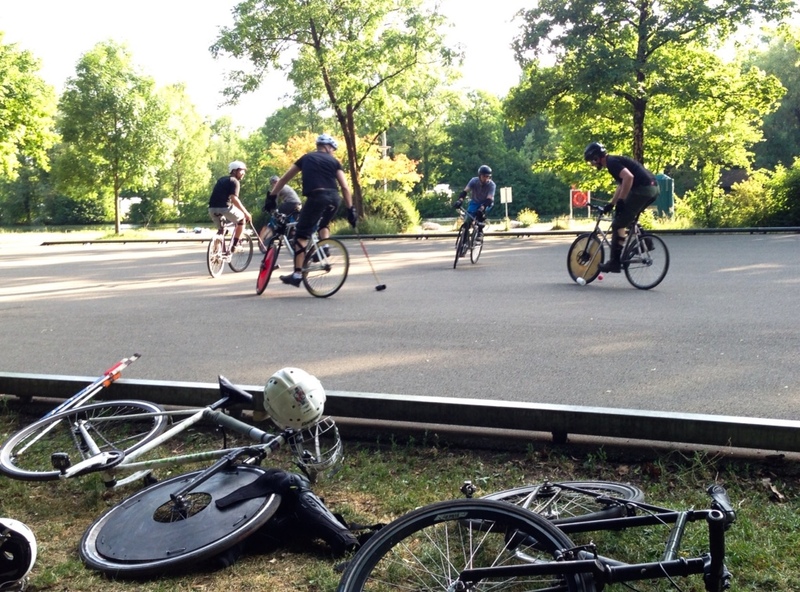 I immediately spotted a group of locals playing bike polo and knew I needed to make their acquaintances. I quickly threw up my tent and raced back over to catch their last match of the evening. If you've never watched before, do yourself a favor and find your town's local club. It is a fast-paced, novel, exciting sport to watch. 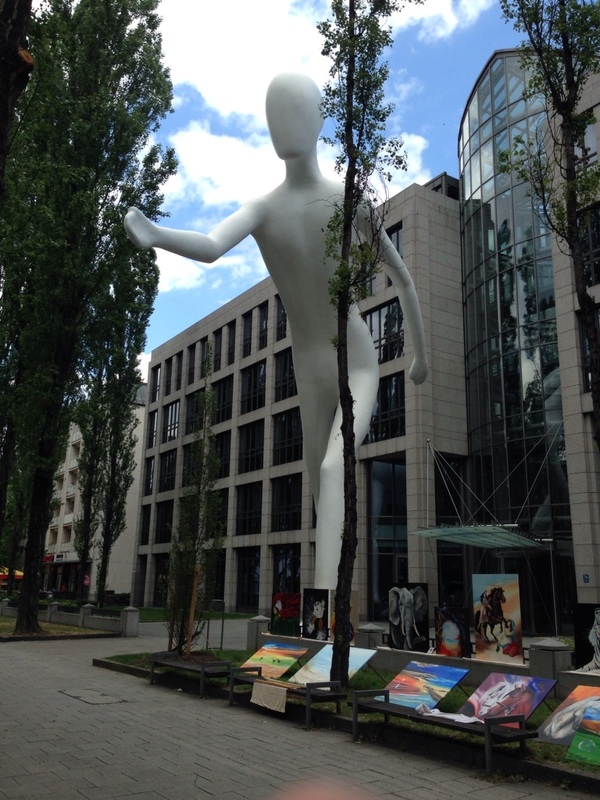 And as in Indy, the sports devotees are extremely friendly to newcomers. Burgers post sport, followed by picking up some beers and drinking on one of the many gorgeous plazas. 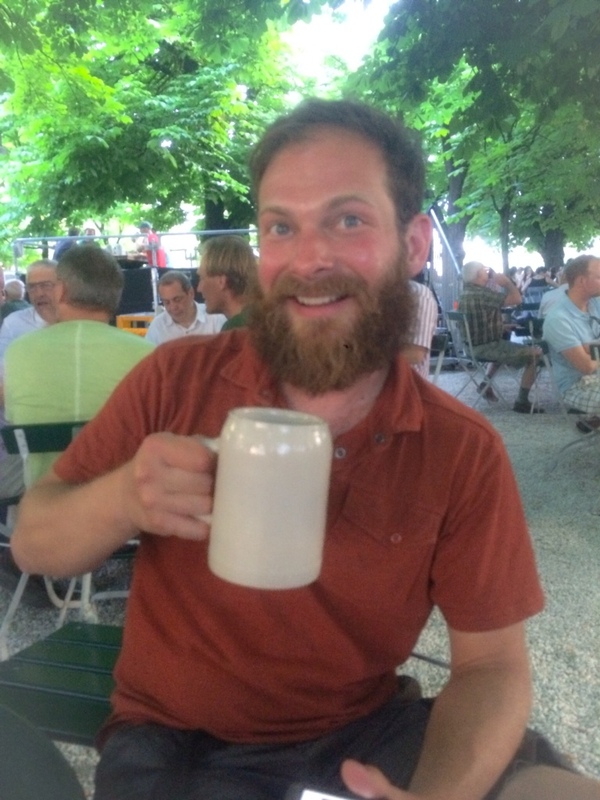 Engineers, designers and lawyers during the work week and a rowdy, bike polo club on the weekends; I felt like I was an honorary inductee for the couple days I stayed in Munich. I also had a chance to try out the sport and ended up with a free place to crash. 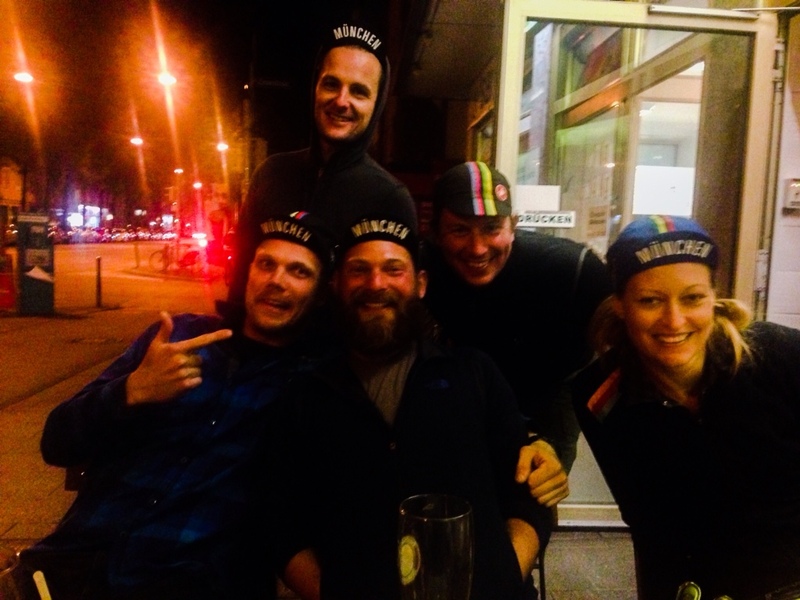 Many thanks to Andi and the Munich Bike Polo club!! 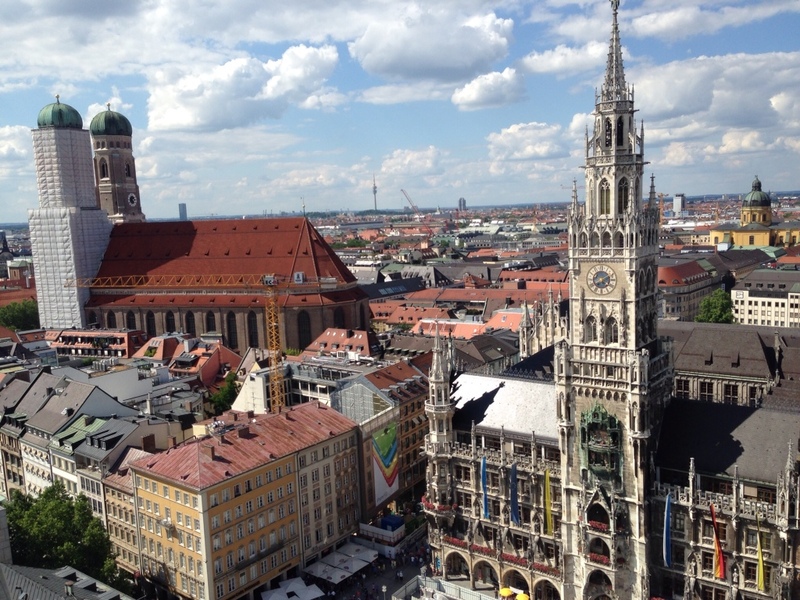 Some of the great sites in Munich! 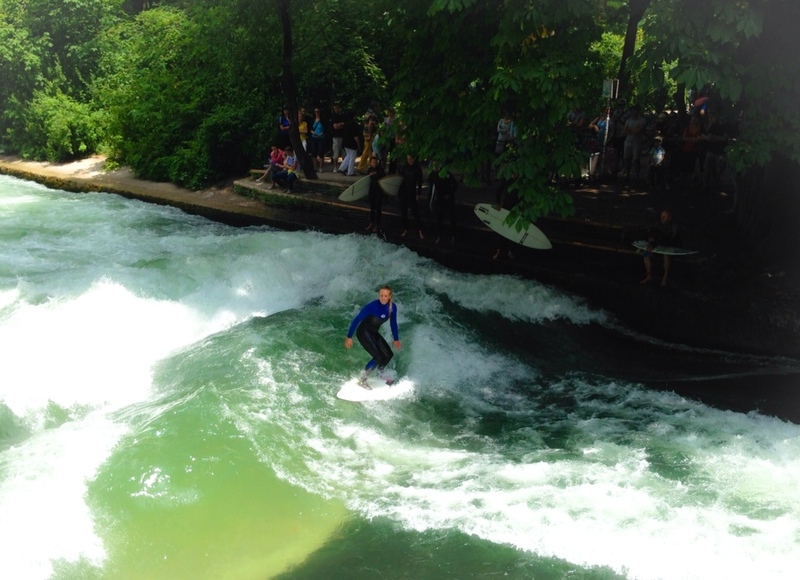 including canal surfing, the Nyphenburg Palace, a selfie at the site of Octoberfest, more great modern sculpture and the city center.